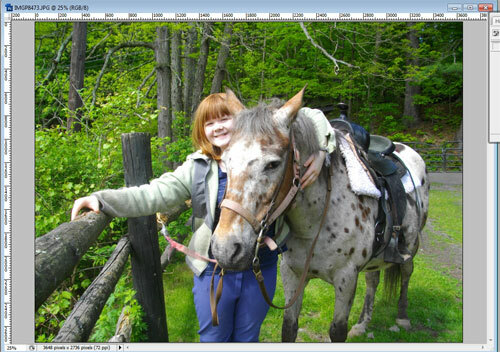 In a short number of steps you can add a rounded-corner effect to your photos in Photoshop. 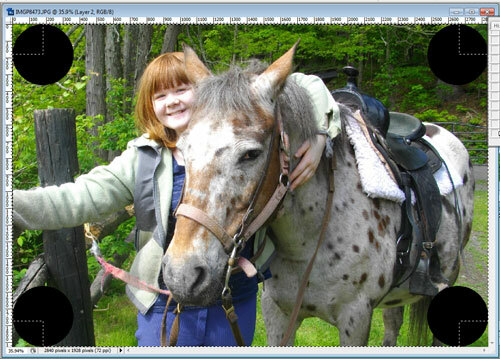 I'll use this cutie with her favorite horse Earl as an example: Crop your image in to the desired height/width ratio. Take care that if you're putting this on a white background the corners have plenty of color that will contrast with white or you'll lose the effect. Next with the Elipse Tool select one corner. Hold SHIFT on your keyboard to keep the circle perfectly circular. Make a new layer and fill the selection with black. 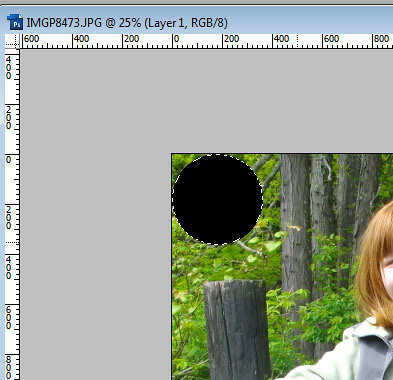 Duplicate those layers and put one of those black circles in each corner. Next select the areas in between all of those circles making a big fat + shape. 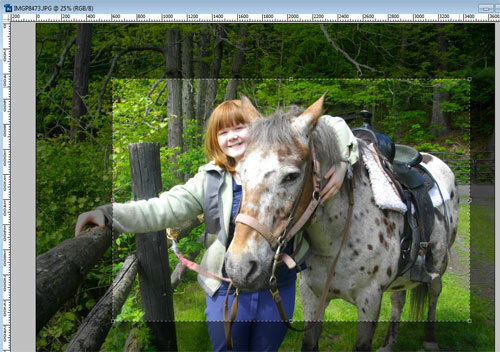 Make a new layer and fill the selected area with black. Now merge all of your circles and that new layer together. You should now have 2 layers. Your background, original photo layer and your rounded rectangle layer. 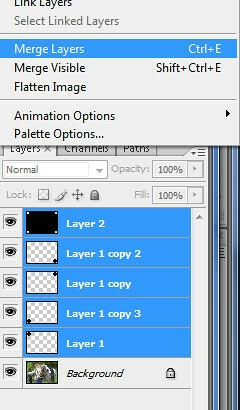 Select the background layer in the layers palette, select all (ctrl-A) and cut (ctrl-X) the layer. 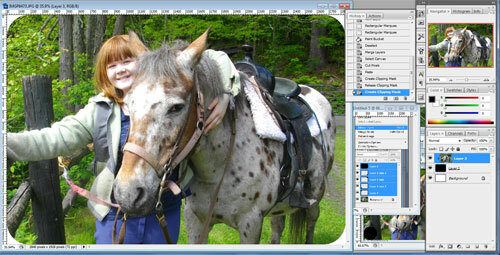 Make a new layer on top of your rounded rectangle layer and paste (ctrl-P) the original photo. In your layers palette right-click the photo layer and select "Create Clipping Mask" Tip: It would be a good idea to make sure you resize your image to the desired height/width after you crop it to the proper ratio and before starting to add the corner effect. That way the corners will be nice and crisp. If you resize after you add the corners it might get a little fuzzy when resizing.